Prominent & Leading Exporter from Jalandhar, we offer deep offset ring slogging spanner, open ended slugging spanner and ring slugging spanner. 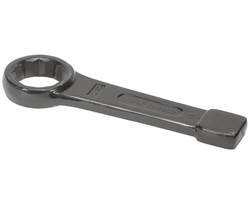 We are one of the leading manufacturer, exporter and supplier of Deep Offset Ring Slogging Spanner. Our offered range are known for its dimensionally accuracy, high performance and robust construction. 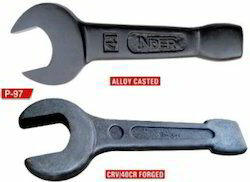 These Spanner are manufactured under proper supervision using quality tested metal and advanced technology. Our organization is engaged in the manufacturing, exporting and supplying a wide range of Open Ended Slugging Spanner. Offered products are widely appreciated among the clients for their seamless finish, dimensional accuracy and abrasion resistance.